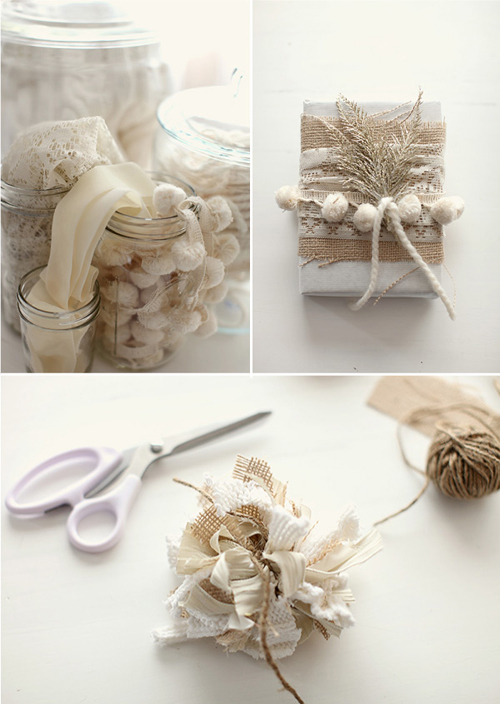 More holiday gift wrap inspirations! 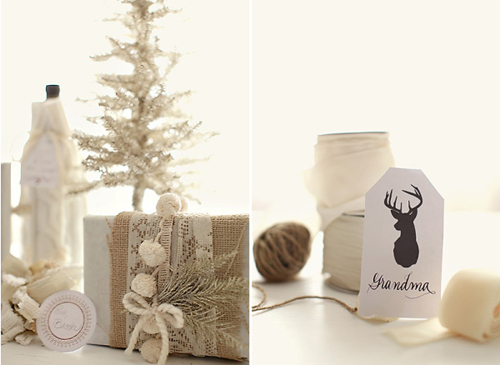 These beautiful packages are put together by Summer of Grey Likes Wedding.The photographs were snapped by Jenny Liu. I love the packaging, the most beautiful I have seen so far! The little tags that are gracing the packages, designed by MaeMae Paperie, can actually be downloaded from Style Me Pretty. The link to the download can be found in this post. Thanks Greet! Wishing you a wonderful Christmas & all the best for 2010! I love how elegant and pure it all feels. Summer is defintiely really talented ! I saw it and couldn’t put the package down to photograph ! TOOOO Pretty ! !